Studies show that more than 85% of dogs and cats over 1-year-old have signs of periodontal (gum) disease, which, if left unmanaged, can lead to painful dental conditions that will require treatment up to and including surgical extraction of diseased teeth. If left in their mouths painful, diseased teeth can create infection which can compromise your pet’s organ function and seriously impact their overall health. Prevention is always the best medicine and NOAH’s team can counsel you on effective dental home-care to prevent the build-up of plaque and tartar on your pet’s teeth. We can show you how to brush your pet’s teeth and recommend easy to use home-care products like dental diets, chews and water additives clinically proven to reduce plaque and tartar formation. One of the most common dental problems we see in dogs is fractured teeth, which need to be extracted if the pulp and nerve are exposed. The leading cause of broken teeth is chewing on things that are too hard. NOAH’s rule of thumb is that if you can’t dent the object with your thumbnail or wouldn’t want to whack it against your own knee, it’s too hard for your dog to chew. Culprits include marrow bones and antlers that dog owners give with good intention but are not safe things to chew. If you’re concerned about your pet’s teeth, NOAH offers complimentary Oral Health Assessments with one of our veterinarians to check their teeth, mouth, and gums. Please call us to schedule your complimentary assessment. 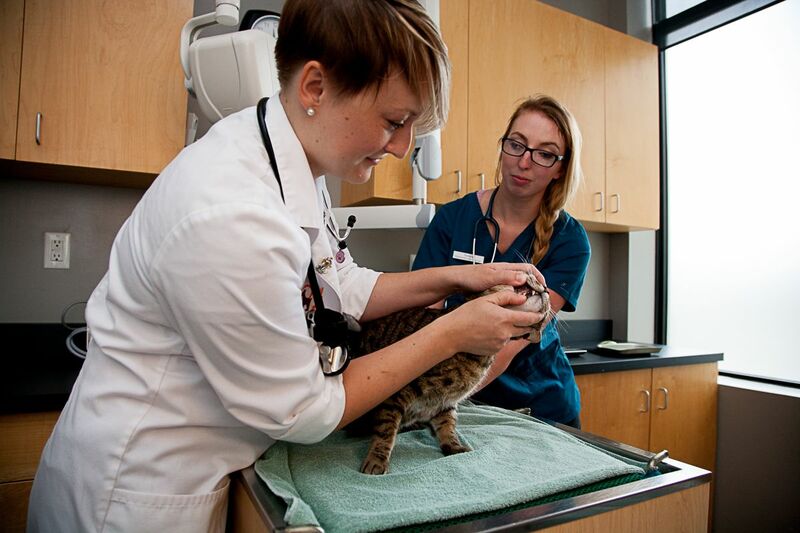 If extractions are necessary, our veterinarians will use a nerve block to keep your pet pain-free during the surgery and will x-ray each extraction site to ensure there are no root-tips remaining behind to cause infection down the road. 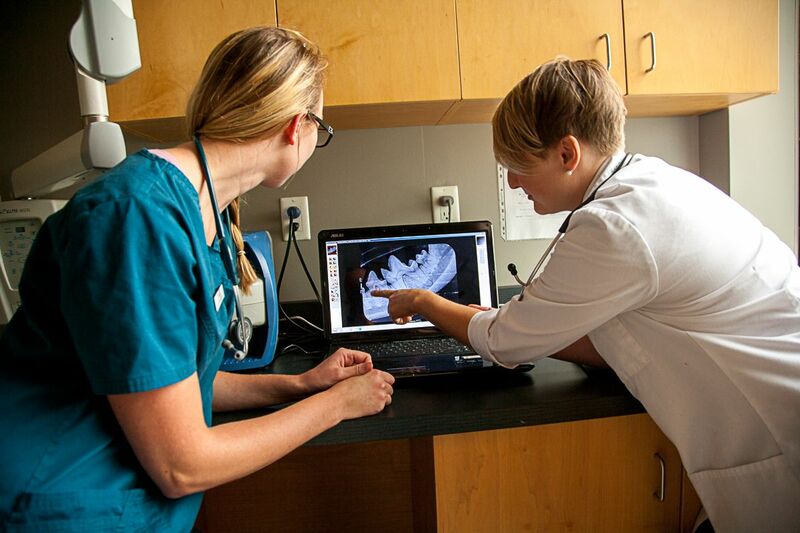 At your discharge appointment, the veterinarian will review your pet’s dental x-rays with you and your pet will receive pain medication and antibiotics to help them recover smoothly and quickly. We will check in with you the day after your pet is discharged from the hospital to see how they are doing at home. 10–14 days after your pet’s oral surgery, the veterinarian will do a complimentary recheck examination to ensure everything is healing as expected and review dental home-care options to keep your pet’s teeth clean.